Outliving retirement savings. That’s what many retirees—and those approaching the retirement ranks—cite as their number one fear. Generating reliable streams of retirement income used to be a straightforward process, one with little deviation. Investors would assemble a balanced portfolio of stocks and bonds (in the tried and true 60/40 stock-bond ratio) and withdraw four percent per year. These withdrawals would supplement income streams from social security, pensions, part time employment, and other investments such as rental property. But that doesn’t work anymore. The 2008 financial collapse saw to that. The typical 60/40 strategy is now largely ineffective, even dangerous. Yields on both government and corporate bonds are well below historical averages. Interest rate income from savings accounts and CDs is near zero. According to a study by Morningstar Investment Management, investors with a typical “balanced” portfolio with a 4 percent withdrawal rate have only a coin’s toss chance of successfully realizing their retirement goals over a 30-year span. Hitting a 90 percent success probability rate would require a 2.8 percent withdrawal rate, or 42.9 percent more investment savings to pull the same dollar value as a 4 percent withdrawal rate. Still, even with these adjustments, the challenges and risks remain. This era of increasing life spans, exploding healthcare costs, and overall economic uncertainty, wreaks havoc with retirement security. How can investors cope? In this age of uncertainty, the definition and composition of a balanced retirement portfolio has shifted. Many advisors now suggest successful portfolios be divided roughly into thirds: one-third guaranteed income instruments, such as fixed and variable annuities; one-third traditional investments, such as mutual and bond funds; and one-third deferred annuities. Blending fixed, variable and deferred annuities with traditional investments of both low and moderate risk, is key to assembling and estate while providing steady retirement income. 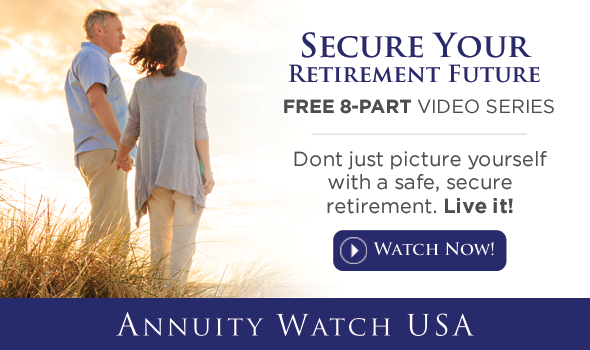 In these strategies, lifetime-payout annuities become increasingly important. Think of these annuities as a hedge against longevity risk, one that exchanges accumulated investment into payments over the lifetime of the investor. These come in two flavors: fixed and variable. Fixed-payment annuities pay a fixed dollar amount each period over the lifetime of the investor. Disbursements from variable-payment annuities fluctuate, depending on the performance of the investments held within the plan. By combining these two instruments in a retirement portfolio, investors can structure a modest hedge against inflation. To this blend, investors can add deferred annuities, or plans that delay payments of income until the investor elects to receive them, such as at age 85 and after. Deferred annuities have two primary phases: the wealth-building phase in which investors make contributions; and the income phase, whereby the plan is converted into an annuity and retirement income is generated. Some advisors suggest that a substantial portion of total wealth should be allocated to annuities, with as much as 75 percent of the desired level of retirement income longevity insured. Studies show that retirement strategies relying on traditional 60/40 balancing with no annuity have a higher risk of failing to provide required income needs. With these strategies, the probability of success drops significantly before age 80. By combining traditional investments with instruments that insure against longevity risk, such as a mix of annuities, investors increase the odds of meeting income goals over an investor’s lifetime.